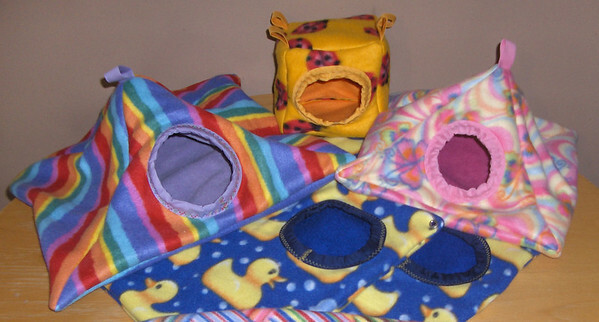 Examples of lap bonding pouches. These are technically hammocks but they sit neatly on your lap and can hold a multitude of rats. With only one opening, your hand can go in and block any rats attempting exit. Hanging out there with them is a great bonding activity. These are 14 inches in diameter and I requested a 3-inch opening so that I could contain the rats easily with one hand.